Cabeze Passenger - Android App | Dhrubok Infotech Services Ltd.
Cabeze is a taxi booking service just like Uber. The system consists of 2 apps and an admin dashboard. 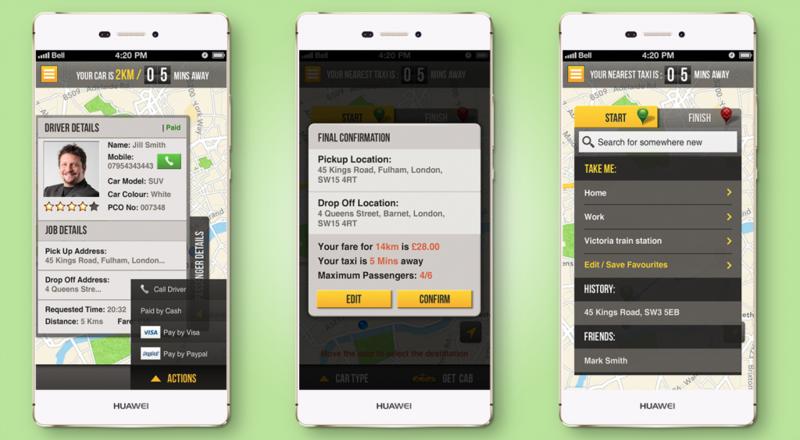 The driver app is used by taxi drivers to accept jobs, communicate with passenger, track the ride and accept payments. Cabeze taxi app used by passengers to seek available cabs, track the location of the driver, track the ride and make payments. Location services, turn by turn direction and navigation, Google Maps and Places API, Paypal SDK, Stripe SDK. Great team. They developed Android version of my iOS App. Highly recommended.